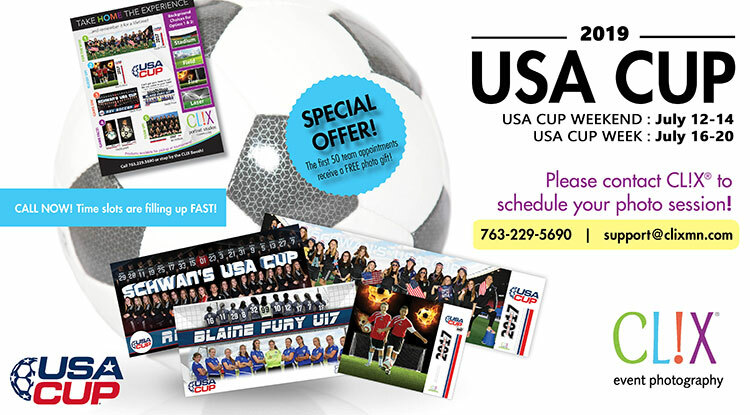 Contact CLIX today to set up your session at the USA CUP! There are many options available at the CLIX photo booth. Click on the buttons below to view options and contact us to set up your session! Take home the experience...and remember it for a lifetime! Visit our Youth Sports page to view our Gallery and to learn about CLIX Youth Sports photography!